It’s the anticipation that does it. I thought this story by Philippa Pearce was going to get quite scary at some point. And when it didn’t happen immediately, I expected it soon. And then shortly afterwards. It wasn’t all that scary. I think. Unless I missed something. But that doesn’t matter, because as I said, it’s the expecting it, thinking that the ghost will jump out at you any second now. That’s scary. 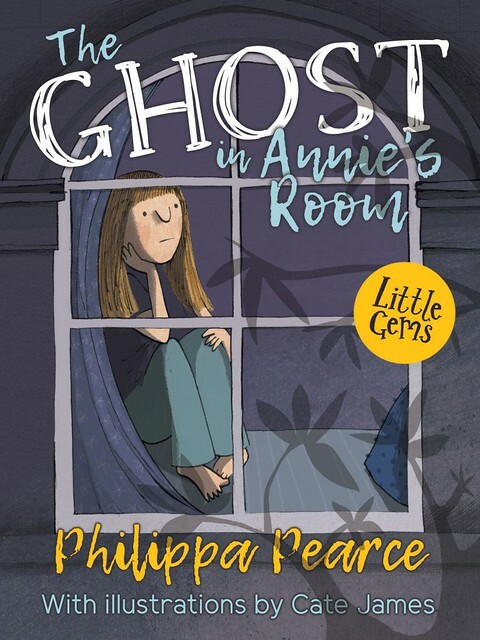 Emma goes on holiday, staying with Great Aunt Win, and getting to sleep in Annie’s attic room. Emma’s brother helpfully informs her the room is haunted. And yes, there’s the noise in the night, and the shape in the dark. When I saw Jim Kay sign copies of his first illustrated Harry Potter in Edinburgh, I was a bit tempted. The book looked fabulous, but it was also very large (and obviously, as we go along, the books will grow and grow) and I was telling myself to be sensible. Sensible is a good thing to be. 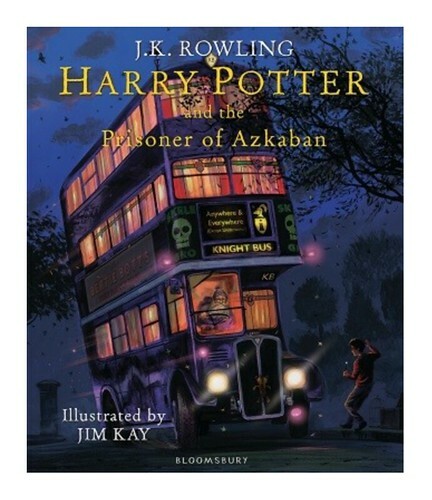 But then I happened to come across the cover of Harry Potter and the Prisoner of Azkaban, and I sort of sank. How could anyone not want it? I like buses. I like night time scenes because the colours are so gorgeous. This cover image has it all. And it’s a bus. The Knight Bus, no less. Did I mention that? This is something I will need to think about. I have some time, as the book isn’t out yet. The thinking will have to be that I can’t fit a new shelf in anywhere. And a big book, and its friends, need space. We don’t always know who we are. And re-inventing ourselves can sometimes seem quite attractive, even if experience has taught me it’s virtually impossible. Although I keep trying. 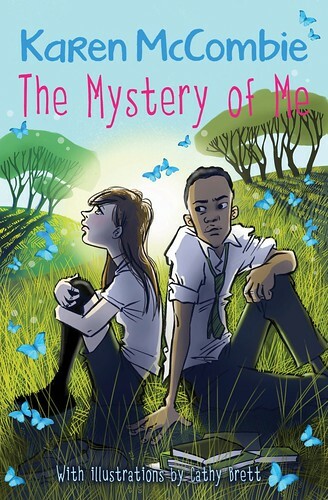 Ketty in Karen McCombie’s The Mystery of Me has forgotten a lot after her serious accident. It takes time for her body to heal, and longer still for her mind to catch up. She returns to school and feels tired and confused, but gets good help from Otis, whom she didn’t really know before. I thought this was going to be your average school relationship story, albeit in a dyslexia-friendly format. I really didn’t see where it was going, and that made it so much more satisfying. To be honest, I was afraid the death count might be bigger than I wanted it to be. Caroline Lawrence has been known to kill in the past, and people I didn’t want to see dead, too. And let’s face it; to make Roman Britain realistic, you can’t have too many lucky escapes, can you? Well, I’m obviously not going to tell you if they live or not. There is quite a bit of blood. There are dangerous beasts, and at times even domestic cats can be life threatening. 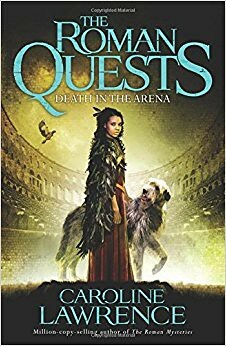 The third Roman Quests and the turn has come to Ursula to have her tale. She loves her animals, and she loves being a Druid, which is all good apart from the fact that Druids are to be executed if found. The three siblings from Rome are then given a task by Flavia Gemina, which involves our old friends Lupus and Jonathan. Always nice to catch up with old friends. There is the tricky task of attempting to reunite separated twins Castor and Raven, and getting rid of the Emperor Domitian while also staying alive is a big job. And romance! These young people fall in love at the drop of a hat. It can be hard to know who you really, really love, and maybe it’s more than one? The modern reader has to keep in mind that the children are of an age to justifiably be thinking of who to marry. Death in the Arena shows us what sort of entertainment they had back in AD 95. Audiences wanted to see blood from fights between beasts or ritual sacrifice, but also more normal fun, such as music and comedy. Mixed up in the one show, it feels rather over-powering. But nice to know that Lupus is now a superstar with fans! I always liked that boy. Caroline continues to educate as she entertains. And I do like the long line of continuity from the early days of the Roman Mysteries. Carpe Diem. It’s not for me to recommend who you fly on holiday with, but easyJet have just launched a books for children scheme for this summer, helped by Jacqueline Wilson. It is a good idea, because you can never have too much to read (unless you are me). And some parents don’t see books as the priority it should be, and maybe forget to pack a book for their child, or not enough of them. Not all would stop and buy one at the airport, either. And sometimes we don’t realise we need something until it’s too late, and we’re up in the clouds. I’m glad they asked Jacqueline for help, and I’m glad she chose mainly classics for the easyJet reading list. There’s often not enough of the golden oldies in children’s lives. 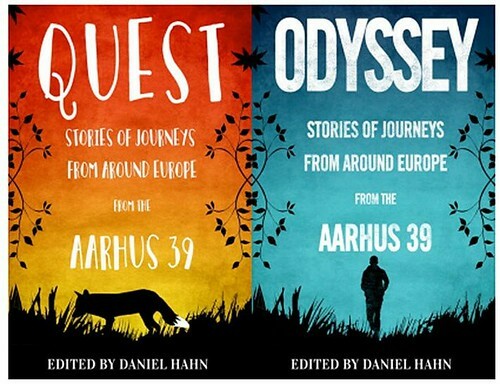 If I have a criticism of the Flybraries it is that the young passengers can start on the book as they fly, but are then expected to leave it on the plane for the next child to enjoy. Fine if you finished the book, but less so if you’re mid-story and simply can’t let go. And let’s face it; that is the sort of reaction people like me want the children to have. Start a life of crime by stealing the airline’s books? I digress. 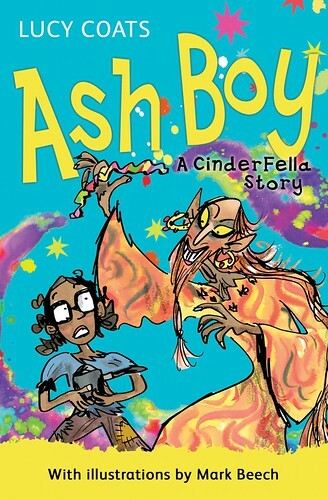 This is great fun, while obviously being rather sad, what with the demise of Cinder’s mum and the hardship he suffers, bullied by his step-brothers Rock and Boulder and their mother Mrs Karim. And then comes the invitation from the Royal family, where the winner of the Grand Quintain Contest will be granted a favour of their choice by Princess Betony on her 14th birthday. You can guess how it goes. Did I mention that this is really fun?